Yesterday was World Read Aloud Day which seems to have nothing at all to do with Netflix. Stay with me, though. There’s a connection. As you all know our family LOVES books. Yesterday for World Read Aloud Day, not only did I get my students involved, we read more than usual out loud at home too. In fact, this week a post I wrote for Dr. Bickmore’s YA Wednesday Blog was published about the books I read aloud with Eddie and Charlie. Because we love books so much, we are looking forward to the new stuff Netflix has to offer this year. Much to our excitement, Netflix is bringing some of our favorite books to the screen. Eddie is looking forward to spring break (March 30, to be exact), when the new season of A Series of Unfortunate Events will be released. He absolutely binged the first season–more than once. He keeps asking me, “when will there be new episodes? WHEN?” Now I can finally tell him. Of course he reaction to it being March 30 was first excitement (because new episodes), but then “UGG! THAT WILL BE FOREVER!” because 8-year-olds are totally patient, yo. We are also pretty excited about the new Llama Llama series. Anna Dewdney is a favorite around here. Not only do we love reading the books together, but Anna Dewdney narrates the ones we have on our tablet devices as well. The kids love the new animated series that brings their favorite Llama to life with Jennifer Garner as Mama Llama. Plus it’s available NOW, so that helps with the wait for new episodes of our other favorites. 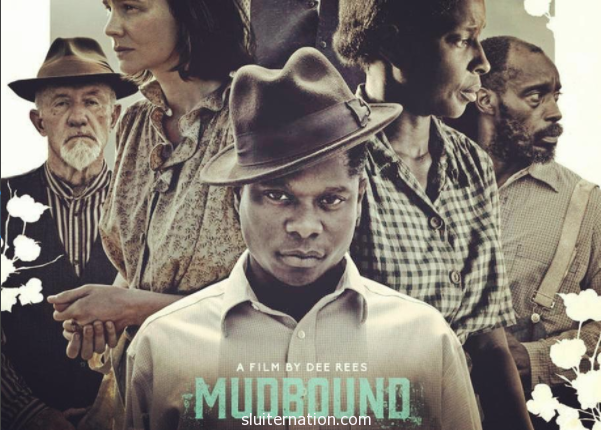 For me, I am most excited about Mudbound, a Netflix original film. I first read this book about five years ago in preparation for using it as one of the literature circles choices for the 12th graders I was teaching at the time. It takes place in 1940’s Mississippi deep in the Jim Crow laws. It’s an excellent portrayal of racism, privilege, and poverty. My students loved it. I loved it. I can’t wait to watch it come to life–especially with Mary J. Blige playing a leading role. In between homework and reading, we will be cuddled up on the couch with new Netflix. Disclaimer: This is not a paid post. Netflix provides streaming and a device to steam on while we provide our own opinions.